Earlier this week I featured some tools for creating podcasts across on a variety of platforms. 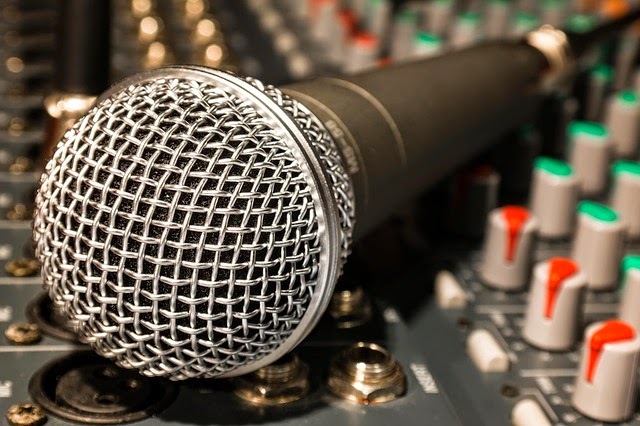 An audio recording doesn’t have to go through the full-fledged production process of creating an a podcast in order for it to be a valuable activity for students. Creating short, unedited audio recordings is a good way for students to record and share their reflections on things that they have learned and observed in your classroom. The following five tools can all be used for creating and sharing short audio recordings. Clyp.it is an easy-to-use audio recording tool available to use in your web browser. To record on Clyp.it you simply go to the website and click the big record button (you may have to allow pop-ups in your browser in order for Clyp.it to access your microphone). When you’re done recording click the share button and you’ll be taken to a page on which you can download your recording or grab an embed code to post the recording on a blog. In the video embedded below I provide a demonstration of how to use Clyp.it in your web browser. Clyp.it is also available to use as a free iOS app or as a free Android app. Vocaroo is a free service that you can use to create short audio recordings. Creating a recording on Vocaroo is a simple process that does not require you to create an account or have any special browser plugins. Just go to the site and click record to get started. In the video below I demonstrate how to use it to create a recording and post in on your classroom blog. SoundCloud’s Android and iOS apps no longer have the recording features that they used to have, but the browser based version still offers a good recording tool. After recording in your SoundCloud account you can grab the embed code for any of your recordings. In the video below I demonstrate how to use SoundCloud to create recordings and publish them in your classroom blog. AudioPal is a free service that anyone can use to create short audio messages to embed into blog posts. AudioPal offers three way to create messages. You can record using the microphone connected to your computer. You can record by calling AudioPal’s phone system. Or you can create a message by using AudioPal’s text-to-speech function. In the video that is embedded below I demonstrate how to use AudioPal’s text-to-speech function and how to embed your messages into your blog. AudioBoom offers an easy way for teachers and students to create short audio recordings that are matched to images. In the video below I demonstrate how to use the web version of AudioBoom to create a short audio recording. AudioBoom also offers free iPad, iPhone, and Android apps. AudioBoom’s education section is full of great examples of using the service in classrooms.